Derek Jeter is a Yankee great for a reason. While one could look to his individual stats, it's his World Series rings that set him apart from his peers. Now those championships are being commemorated with a line of limited Sports Picks. 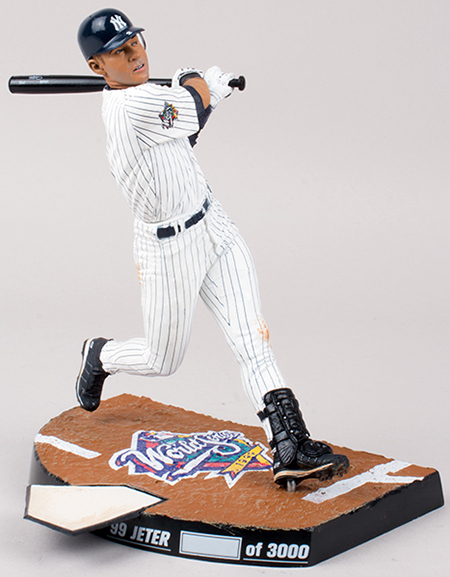 There are five different 2014 McFarlane Derek Jeter World Series figures, one for each of his rings. Each of the five figures commemorates a different World Series win. Sticking with McFarlane's eye for detail, the uniforms match the ones worn in the championship-clinching games. The World Series logo is also on both the uniform and the base. 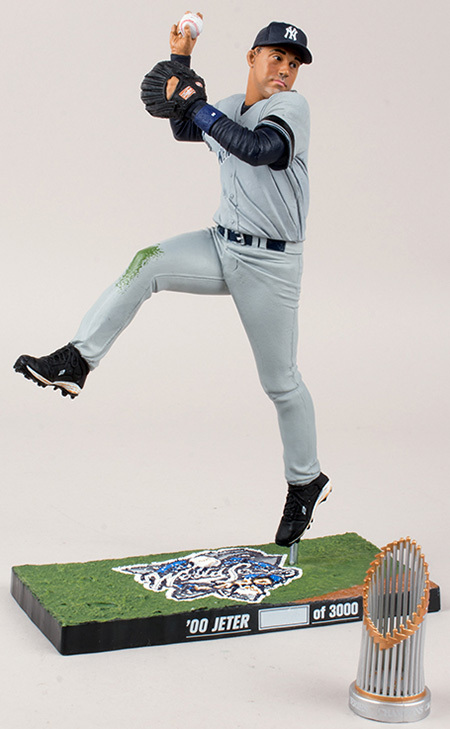 Every 2014 McFarlane Derek Jeter World Series figure also comes with a replica trophy. 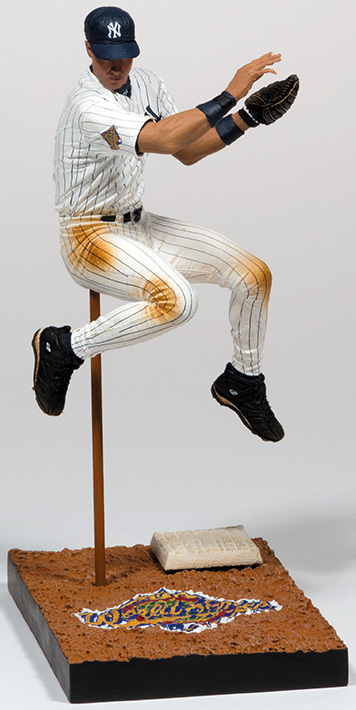 Each figure has a production run of 3,000 pieces. They're also numbered. 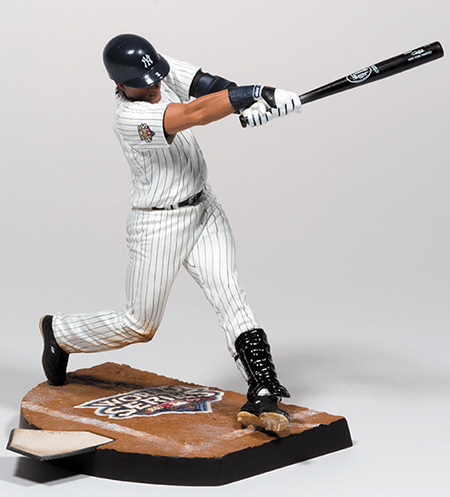 McFarlane also has a commemorative Derek Jeter two-pack slated for the fall. 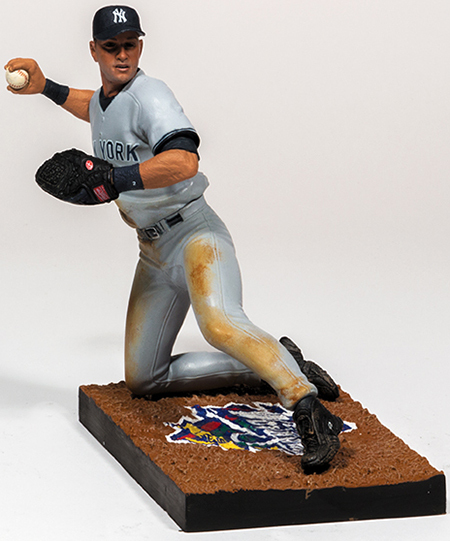 MCFARLANE 2009 WORLD SERIES YANKEES 4 PACK POSADA PETTITTE JETER RIVERA RARE!! !